Do you sometimes wish that you could wear a nail polish for a couple of weeks without it chipping? Well now you can! CND Shellac is an award winning product, applied like a normal traditional nail polish, wears like a gel and is off in minutes with absolutely no damage to the natural nails! Get 14+day wear out of your manicure with a mirror shine and zero dry time. I pride myself on the constant training I attend to keep up to date with CND Shellac and ensure every client receives the full CND Shellac service. Always check that your nail technician is using the true CND shellac by checking the bottles say CND. Some nail technicians will advertise “shellac” when it is in fact a completely different brand. All my shellac finger treatments include a Brisa Lite smoothing gel application. Nailtiques products contain a unique combination of natural proteins and conditioners which promote healthy nail growth and take the hard work out of caring for your nails. 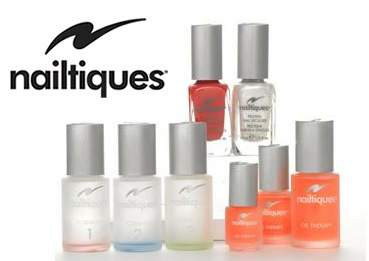 Includes nail soak, shape, cuticle care, hand ,massage, protein formula & a choice of either Nailtiques or Jessica polish. As a Nailtiques manicure and also including exfoliation, full hand & arm massage & a deeply warming paraffin wax application to the hands before relaxing in heated mitts. Soak,file, cuticle work, hand conditioner & Nailtiques protein formula. Includes foot soak, nail shape, hard skin removal, cuticle care, a relaxing foot massage & a choice of either Nailtiques or Jessica polish. 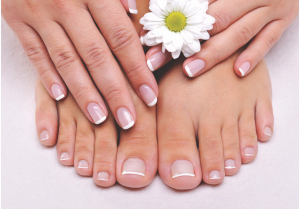 As a Nailtiques pedicure and also including lower leg & foot exfoliation & massage. A deeply warming paraffin wax application to the feet before a well deserved heated bootie experience Absolute bliss. Soak, file, cuticle work, hard skin removal & Nailtiques protein formula. IBX is a new revolutionary system created by Famous Names. It is a two-part system consisting of IBX and IBX Repair, it acts as a protective and strengthening shield for natural nails. It can help to treat nails that peel, have ridges or white spots. IBX is the first of its kind as its penetrative toughening system works inside the nail instead of just sitting on top. The result is a tougher nail that can grow naturally or act to protect the nail against frequent nail enhancement removal. Your recommended treatment programme will be determined after a full consultation where I can establish the most appropriate system to be used. The condition of your nails will determine the treatment frequency.